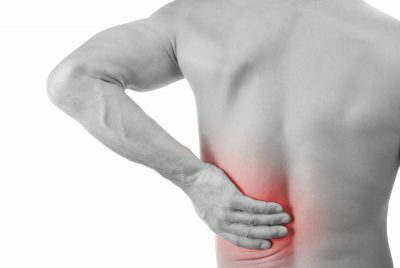 Physiotherapist, Laura Fox, answers some common questions on back pain. Back pain is extremely common, with 84% of people in the world experiencing it at some stage. With all the conflicting advice on back pain from Uncle Jim and the next door neighbours’ cousins’ boyfriend, there is no wonder you are confused about the best way to manage your back. If managed incorrectly, lower back pain can contribute to disability and create personal, social and economic burdens. No. Arguably the most important piece of advice. DO NOT REST OR AVOID MOVEMENT! Evidence has come a long way since our great-grandparents were advised to rest their sore backs in bed. make your pain linger and develop into a chronic condition, opening a whole new kettle of fish! Radiological investigations (ie xray, MRI) are often unwarranted. In the absence of serious pathology (cancer, broken bones, infection) they are not useful and may in fact be detrimental to your recovery due to the psychological implications of diagnoses. It is important to note the prevalence of disc degeneration, bulges and protrusion on imagining increases with age despite pain/symptoms. In other words, a scan will often show you have something, however Jo Bloggs sitting next to you with no pain could have the exact same findings on a scan (the radiological results are often not linked to your pain). You may as well save yourself the dollars and treat yourself at the local mall or favourite restaurant instead! However, if you do get a scan, remember to take the report findings with a grain of salt – I reiterate many of the conditions described are common and normal findings in people without pain. Will I ever be cured, or will I be coming to the physio forever? The prognosis of low back pain is excellent, provided adequate education and reassurance is given. Treatment will focus on symptom modification, then restoration of movement and function. ‘Give a man a fish and you feed him for a day, teach a man to fish and you feed him for a lifetime’. We empower YOU to be able to actively self manage. We will help you understand your condition and the benefits associated with a healthy lifestyle (adequate sleep, exercise, healthy diet, smoking cessation). YES YES YES! Did I say yes? Exercise is key to your recovery! More than 30 minutes per day is recommended but any amount that can be managed will reap benefits. When exercising, it is important to do so in a confident and relaxed manner – no bracing or breath holding. Exercise may consist of relaxation exercises, mobility exercises, strength and conditioning and/or aerobic exercises. Make an appointment with your Physiotherapist at your local PSM Clinic who can implement a program to suit you. Over time, we will monitor and gradually progress your exercise and activity levels. Remember, just like thoughts, pain is processed through the brain.. so the more you worry and think about your pain the worse it gets. Furthermore, factors such as poor sleep, stress, depression and anxiety have been shown to be strong predictors for low back pain. So make sure you’re taking some time to rest, relax and destress!